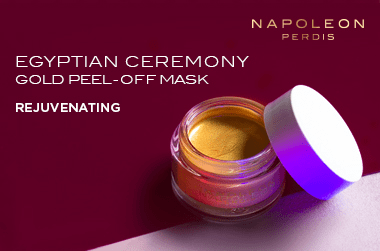 The Napoleon Perdis makeup range has become synonymous with luxury and high-quality, adored by millions around the world including the beauty elite. Full of cult classics that are must-have items in any makeup artist’s collection, the Napoleon Perdis makeup range has expanded to include everything you need for a flawless look, from lipsticks and mascaras to concealers and makeup brushes. Napoleon Perdis makeup is encased in breathtaking packaging, so the product looks as stunning on your vanity as it does on your skin. Each product has years of research and experience behind it, as well as Perdis’ supervision. Perdis is renowned and admired as one of the best international makeup experts on the circuit. The Napoleon Perdis Academy is educating a legion of upcoming beauty artists with his signature techniques and beauty tricks of the trade. The Napoleon Perdis makeup line is not just for the beauty elite. The range has been designed with the everyday beauty customer being paramount to any decisions and developments. Perdis embraces individuality and creates products that bring happiness, strength, and control to every single soul. Available at 85 concept stores, over 100 department-store counters, and over 750 independent stockists, Australia’s leading makeup brand, Napoleon Perdis, is the epitome of luxury, education, and glamour. What are the top sellers from Napoleon Perdis makeup? The extensive Napoleon Perdis makeup line includes everything from eyeliner and eyeshadow to mascara and blush. Napoleon Perdis Auto Pilot Pre-Foundation Primer has become a cult product amongst both everyday customers and expert makeup artists. Adored for its rich, moisturising formulation and long-lasting hold on makeup, this foundation primer is a must-have for dry and dehydrated skin types. Another favourite is Napoleon Perdis Camera Finish Powder Foundation, a stunning gold compact. This powder can be used on its own to conceal and correct or on top of other foundations in the range to set makeup for a day-to-night look. It is not just the foundations and base products that have gained iconic status from Napoleon Perdis. The brand’s Brow Pencil is fast becoming a firm favourite. The ultra-soft retractable pencil glides onto brows effortlessly, emulating the look of natural but tamed brows for a high-precision finish. Napoleon Perdis Mattetastic Lipsticks are also adored due to their intense colours and long-lasting, gloss-free finish. Available in a large variety of shades inspired by Perdis’ favourite Hollywood stars, these are a must-have in your makeup bag.